Background: Research into prevalence and public health importance of easily-culturable and inhalable indicator microbial flora of unused toiletrolls had not been previously reported in Nigeria. This study therefore, aims at determining physical characteristics and microbial profiles of unused toilet rolls, and their public health importance. Methods: Using microbial cultural methods and standard phenotypic taxonomic tools, 200 easily-culturable bacterial strains, randomly isolated from 371 unused Nigerian toilet-rolls obtained from 10 states, in a threeyear period: year 1 [n = 111]; year 2 [n = 59] and year 3 [n = 30] were identified. Antibiotic susceptibility profiles of the isolated bacterial strains were determined by agar disc-diffusion method. Results: Most of the unused toilet rolls had pH of 7–8; significantly high microbial loads and high concentrations of paper dusts. Isolated indicator microbial flora included Bacillus, Citrobacter, Clostridium, Corynebacterium, Escherichia, Enterobacter, Klebsiella, Micrococcus, Morganella, Proteus, Pseudomonas, Salmonella, Shigella, Micrococcus, Staphylococcus, Aspergillus, Botyriodiplodia, Candida, Cephalospora, Curvularia, Fusarium, Malbranchea, Neurospora, Penicillium and Scopulariopsis species, some of which were toxigenic. Most-prevalent microbial species were Bacillus cereus, Bacillus subtilis, E. coli, Klebsiella pneumoniae, Proteus mirabilis, Staph. aureus, Aspergillus flavus, Aspergillus fumigatus, Aspergillus niger, Botyriodiplodia, Candida and Penicillium chrysogenum species. Gram-positive and Gram-negative bacterial flora, which were maximally sensitive to undiluted disinfectants, exhibited varying antibiotic resistance profiles, with significant resistance to amoxicillin, augmentin (90.0-100%), cotrimoxazole (40.0-90.0%) and tetracycline (33.3-90.0%). 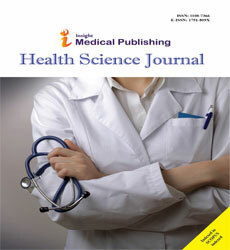 Conclusions: This first reported study, highlighted prevalence of inhalable paper dusts, some toxin-producing fungi, and multiple antibiotic-resistant indicator bacteria of clinical importance in unused contaminated toilet rolls, which without adequate process control have harmful domestic and occupational health implications.